Heyaaaa, How was your weekend ? 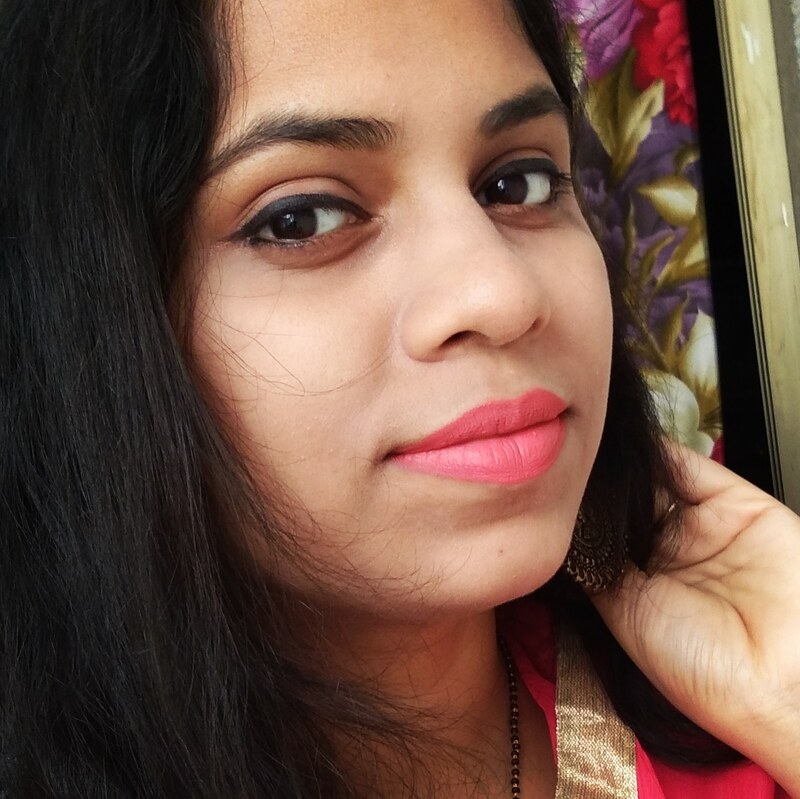 Mine was full of fun, shopping, etc... Now back to work.. Today I am going to share my opinion on Zenith Nutrition hair fab dietary supplements.. Hair is the most precious thing for any girl, isn't it ? Every girl love to have waist length, dense, beautiful, bouncy hair but It is a dream these days and all thanks to pollution, hard water and irregular lifestyle. During my school days I have thick, curly (more towards wavy) hair but now I have lost almost all of my hair.. I tried so many things but nothing helped.. After loads of stress, now I have stopped thinking about new hair growth. I have stopped my search at zenith nutrition hair fab supplements only . I have already read so many good opinions on it, let's see how it is working on me.. I am having these hair supplements since more than two weeks now.. It is available on Amazon . 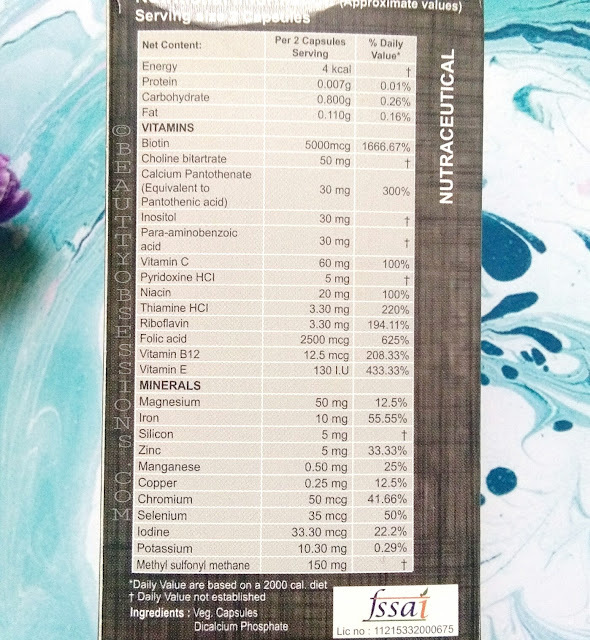 The ingredients list looks so long, but dude, good thing always comes in bunch.. Well, the first two ingredients which attracts me is biotin and folic acid .. Biotin is very essential for improving hair texture which ultimately helps in hair growth. You can also find separate biotin tablets in chemist shops. Then folic acid is also important for hair growth as it stimulates renewing cells.. Deficiency of folic acid causes hairfall. Earlier I was having folic acid tablets on regular basis but can't notice any visible differerence..
Like folic acid, pyridoxine and vitamin B12 is also very useful in hair growth. We should definitely have vitamin B12 on daily basis to maintain a healthy body.. Non-vegetarian can get B12 easily through food but vegetarians should take B12 supplement daily. There are also antioxidants like vitamin E and C, zinc, manganese, selenium, etc. which utilize the protein intake and helps in hair growth. Chromium is very important in improving hair structure too after iron. MSM provides sulphur which is the key ingredient of hair cell .. 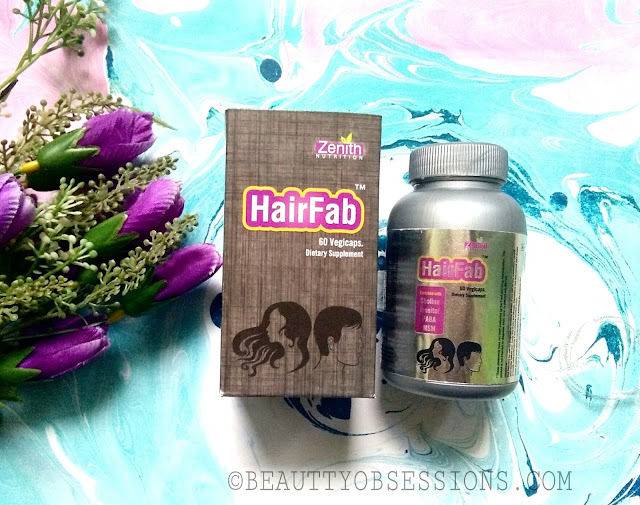 Overall the zenith nutrition hair fab supplements has some really awesome and useful ingredients which helps to improve hair texture and quality.. It has advised to have 1 or 2 capsules daily. 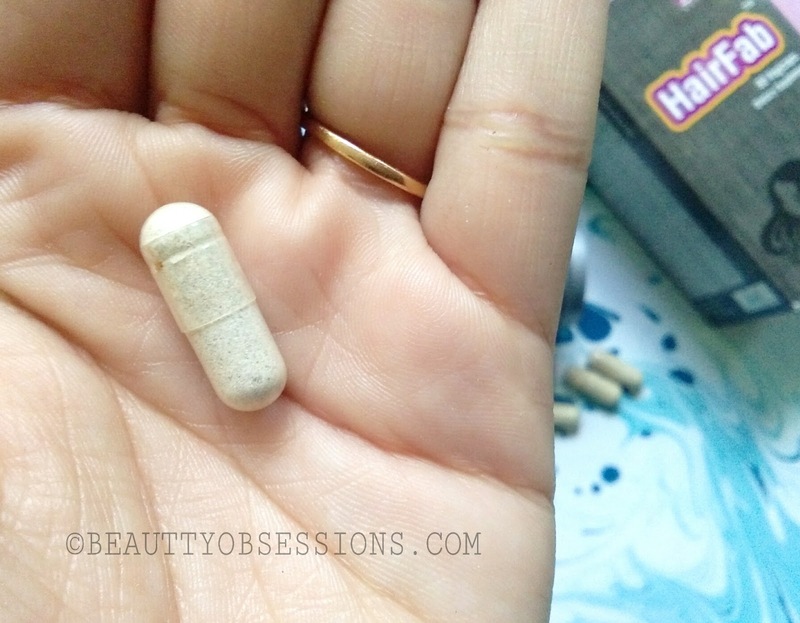 I am having one capsule daily now and I can feel the improvement in my hair quality. Though the difference is not visible but I can feel that.. With regular intake,i am sure it will be beneficial for my hair. Though it seems over pricey for 60 capsules but if something is beneficial for our health, we shouldn't hesitate to have that.. That's my personal opinion completely.. Note - you can take this supplement, if you are pregnant or lactating woman. In case you are allergic or under any other medication, do consult your doctors before having this..
**This post is completely for educational purposes. 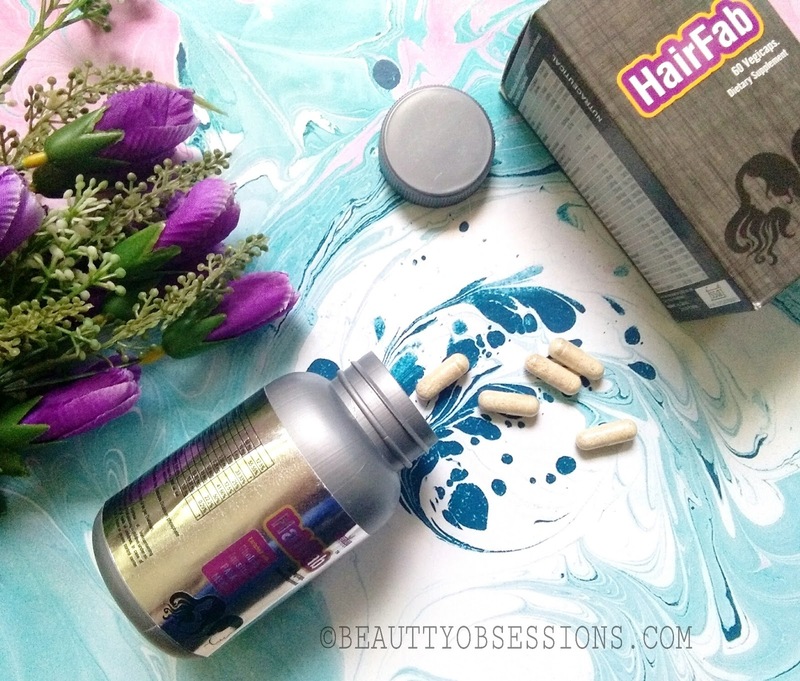 Biotin and folic acid are both amazing for hair. This sounds like a great supplement. Love this brand as i am already user of Zenith supplements .. 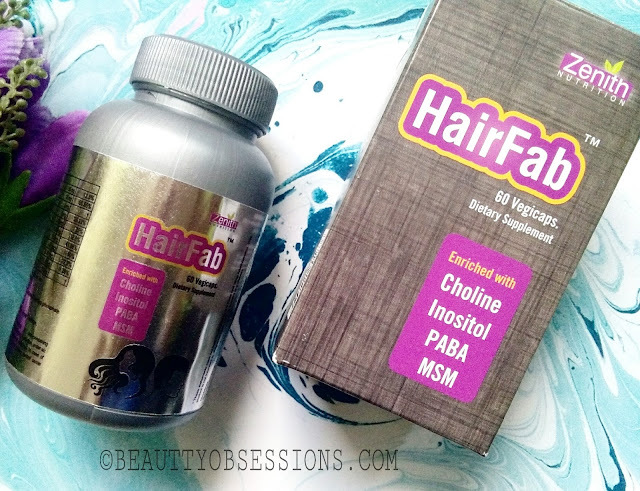 Very promising brand..
so many essential nutrients for the health of the hair, this is a must have supplement! I am so happy to have chanced upon your posts as I have bad hair fall problem. Would love to try this one and benefit also. I have tried few of their products but this one seems really amazing. 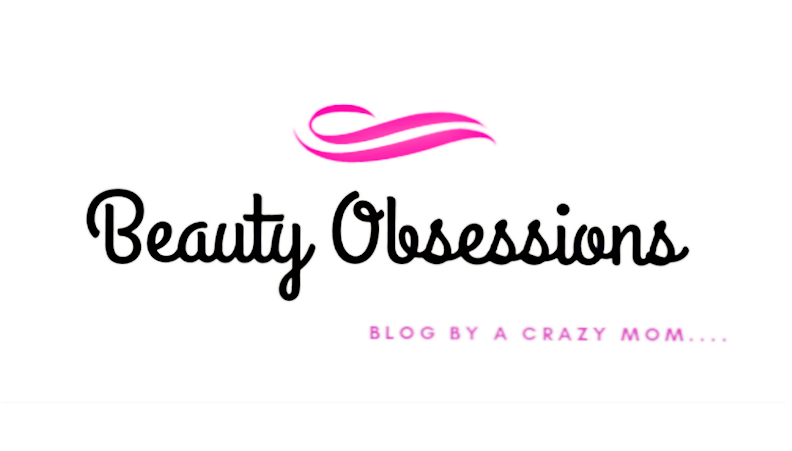 Hair is a very common problem and biotin and folic acid both are effective for hair. I would love to try this product. Zenith products are very promising, I am looking forward to use this. I am absolutely in need of this cause before doing anything superficial, measures should be taken to cure the problem from inside.